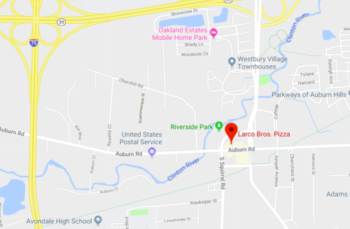 Points are earned on food and beverage purchases with each $100 in accumulated purchases, you will receive $10 in Larco Bros. Pizzeria Food Bucks. Program is intended for individual use only. All rewards including Larco Bros.Pizzeria Products can only be redeemed using the redeem function within the member account at which time a Larco Bros.Pizzeria representative will contact the Member with fulfillment arrangements, Larco Bros.Pizzeria Rewards once redeemed are available for use only at location only for Dine In or Take Out and will automatically be applied on the Member’s next restaurant visit.